Pleasing Fungus Beetles (Gibbifer californicus) are blue, fungus-loving beetles found in parts of Wyoming, Colorado, Kansas, New Mexico, Arizona, and Mexico. Here in Arizona, they are fairly common in moist riparian woodlands with large trees. Adult Pleasing Fungus Beetles emerge in the summertime and are most numerous during the summer monsoon rains. In August, we observed this adult Pleasing Fungus Beetle below and quite a few others in Arizona's Patagonia-Sonoita Creek Preserve, a lush, wooded area of prime habitat for them. 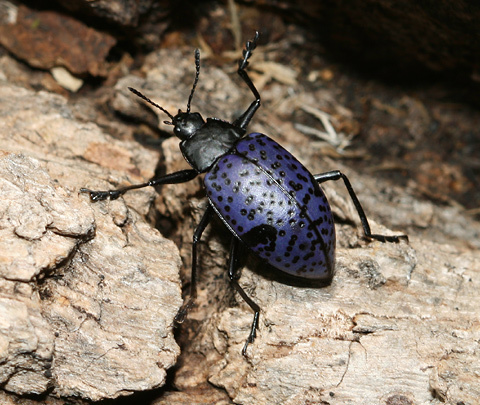 The elytra (wing covers) of a Pleasing Fungus Beetle are an unusual violet-blue color and are dotted with indented black spots. 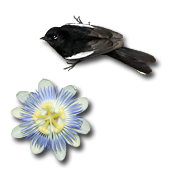 The rest of its oval-shaped body is a shiny black. Adult Pleasing Fungus Beetles can fly, and for some odd reason, these ones just kept landing on us, perhaps somehow mistaking us for rotting logs or giant fungi (not the most flattering of mistakes). Fortunately, the Pleasing Fungus Beetles were harmless and we just brushed them off. 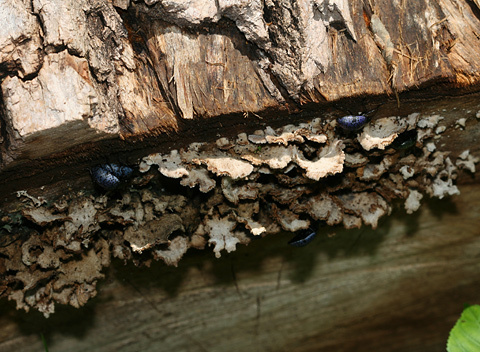 Both larval and adult Pleasing Fungus Beetles feed on fungi, especially the various species of Bracket Fungi that grow on weakened live trees or on decaying wood. These Pleasing Fungus Beetles had discovered a patch of Bracket Fungi on a fallen log and were happily feeding on it. There were quite a few Pleasing Fungus Beetles on the fungi patch, but most of them hid or crawled away when I approached to photograph them. Apparently they are less bold when feeding than when out flying around.